With the recent opening of the second floor Learning Commons, the Library is pleased to announce a new event space on the first floor. This space, the newly cleared back corner of the first floor, has been christened Speakers’ Corner. 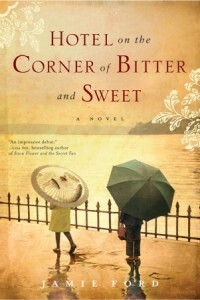 To inaugurate the new space, Hotel on the Corner of Bitter and Sweet author Jamie Ford will sign books in Speakers’ Corner on Tuesday, Jan. 31, at 1:00 p.m. The signing is part of Ford’s official One Book Villanova campus visit. Ford’s visit also includes other events around campus. Click here for more details.